When mice are born, they are blind, deaf, and have very limited sensorimotor abilities. In contrast, the olfactory system is functional, and the maternal signature odor already plays an important role in triggering feeding reflexes, making odor recognition a crucial survival skill for a newborn mouse. During the first postnatal week, endogenous rhythmic brain activity is essential for the assembly of neural networks in many sensory as well as limbic brain circuits. It is, however, yet unknown whether this is true for the olfactory system. Does the neonatal olfactory system also display endogenous oscillations during this developmental time window? How does it respond to odors? Are olfactory and limbic regions interacting to form networks enabling adult cognitive processing? We investigated anatomical connectivity and neuronal communication between the olfactory bulb (OB), the first processing station of olfactory inputs, and the lateral entorhinal cortex (LEC), the gatekeeper of limbic circuits, in newborn mice. Thereby we focused our research on the beginning of the second postnatal week as during this developmental period synchronized neuronal activation enables the refinement of long-range projections. First, we revealed anatomical connectivity between OB and LEC at the end of the first postnatal week. Second, we showed that the OB displays both endogenously-generated and odor-driven oscillations, either of which can drive activity in LEC. Using a genetic tagging method to label the projection neurons of the olfactory bulb with a red fluorescent marker, we managed to visualize the olfactory bulb’s projections along the ventral and lateral side of the entire brain of neonatal mice. Thereby we confirmed that long-range connections from the OB reach the posterior part of the cerebrum including the LEC at the end of the first week after birth. In addition, we confirmed that feedback projections are also already developed at this age. Next, we recorded electrical brain activity in OB and LEC of neonatal mice using techniques that were specially adapted for very small animals. We found that the neonatal OB displays two kinds of endogenous activity patterns; slow, respiration-related oscillations (2-4 Hz), that are dependent on nasal airflow, as well as faster oscillations in the theta (4-12 Hz) band that come and go and are typical for developing brains. 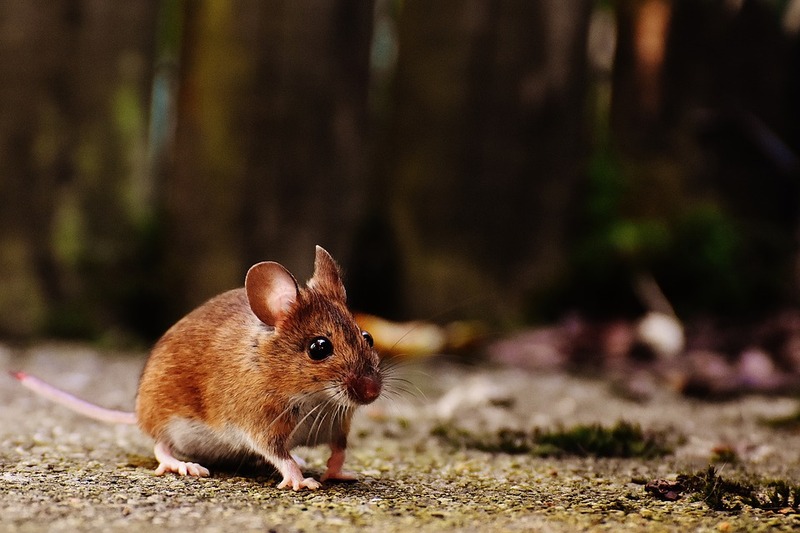 When adult mice are stimulated with odors, fast oscillations can be measured in olfactory brain regions. We investigated whether this is true also for neonatal mice. Indeed, we revealed that odor presentation induced oscillations in different frequencies in the neonatal OB, including beta (15-30 Hz) oscillations. All of these three electrophysiological activity patterns were synchronized between OB and LEC, via mono- and polysynaptic axonal projections from OB to LEC. We then went on to manipulate OB circuits while measuring activity in both regions. When deactivating the OB using a drug, or depriving it of its inputs, by ablating sensory olfactory neurons in the nose, we observed a strong reduction of activity in LEC. This indicates that the drive OB is providing is crucial for developing LEC. Finally, using optogenetics, a technique, enabling us to control specific neuronal populations with light, we could rhythmically activate the projection neurons in the olfactory bulb and managed to entrain oscillations and activity of single cells in LEC to the same rhythm, showing that rhythmic activity in OB is sufficient to entrain the neonatal LEC. Thus, spontaneous and stimulus-induced activity in OB has a strong influence on developing LEC networks. Since the entorhinal cortex acts as a gatekeeper of prefrontal-hippocampal networks, the present data provide evidence for an efficient strategy by which olfactory system facilitates the maturation of limbic circuits and, ultimately, the emergence of cognitive abilities. These findings are described in the article entitled Coordinated electrical activity in the olfactory bulb gates the oscillatory entrainment of entorhinal networks in neonatal mice, recently published in the journal PLOS Biology. Dr. Sabine Gretenkord is a post-doctoral researcher at the University Medical Center Hamburg-Eppendorf. Her background is in Mathematics and Neuroscience and she started investigating brain oscillations during her Wellcome Trust Ph.D. at Newcastle University, UK. This is where she became fascinated by the discontinuous nature of slow-wave sleep oscillations and investigated how these oscillations were modulated by dopamine. Later, she learned that the developing brain produces similar discontinuous oscillations during the first two weeks after birth. 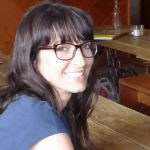 In order to be trained to record electrical brain activity in neonatal mice, she moved to Hamburg and joined the group of Prof. Dr. Ileana Hanganu-Opatz. During her post-doc, she has investigated brain oscillations in the developing olfactory system and their modulation by odors. She is particularly interested to reveal the role of the olfactory system in the development of brain regions involved in higher cognitive function such as the entorhinal cortex, hippocampus, and prefrontal cortex.